A Small World Early Childhood Center is a Child Care Center located at 1038 Main St, #8 Billings, Montana. 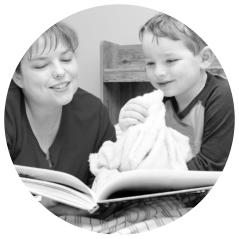 We are a family-owned and independently-operated private business; licensed and certified by the state of Montana to provide quality child care services to Billings and its surrounding communities. 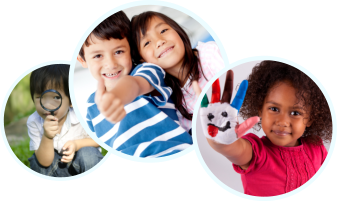 Our mission at A Small World Early Childhood Center is to provide exemplary child care and educational opportunities in a loving and safe learning environment to children of all ages. We make it our goal to produce happy, positive-minded, and motivated learners. We take it as an honor to be entrusted with your child’s care. With us, each child is treated fairly and uniquely. We recognize individual differences and multiple intelligences among our children and therefore, provide various interest classes and stimulating tools to cultivate and develop them to their full potential. Children are cared for by teachers and caregivers with CPR and First Aid Training. All of our staff engages in continuing education and annual training to stay knowledgeable about the newest trends in early childhood education. We strive to provide children with the skills and the foundational knowledge they need to prepare for academic excellence and success in life. Each valuable step is recognized and they are constantly encouraged to go further with the full support of the teachers and their families. The center maintains an open door policy so our parents can come anytime to witness their children in action. Your little ones will be exposed to a variety of learning activities such as fun play, creative exercises, and group, collaborative pursuits. On top of that, we foster a discipline with fair limits and seek to integrate values clarification emphasizing social awareness, positive self-concept, and confidence building. Watch them grow as they achieve their developmental milestones. Enroll your child today!